The SUR-FIT Natura® Two-Piece Ostomy System is ConvaTec’s most extensive two-piece product line. The SUR-FIT Natura® Flange System signals a secure, accurate closure with a series of audible “clicks”. A simple snap-off, snap on design allows users to change the pouch quickly to match activities without removing the skin barrier from the skin. The drainable pouches have soft, fabric-like comfort panels. 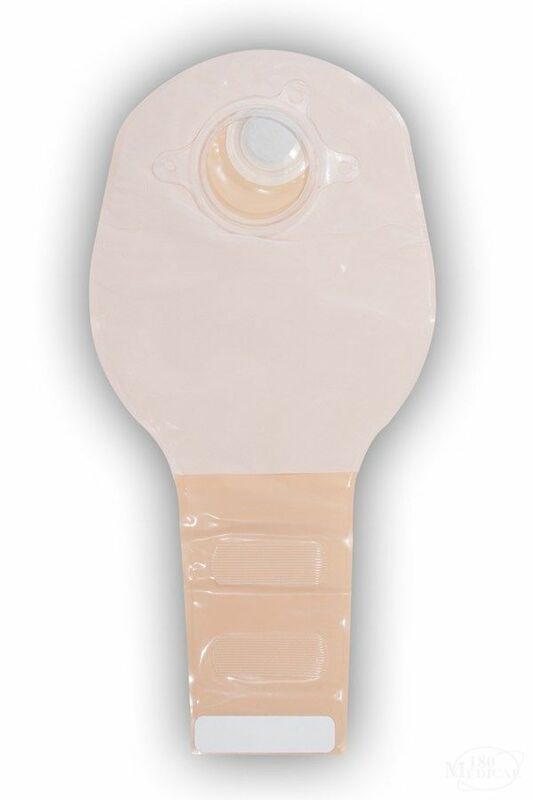 With streamlined body contour panels, low-profile design, and less headroom, they distribute pouch content more evenly and away from the stoma. In addition, drainable pouches are available with the InvisiClose® tail closure system and an advanced filter. 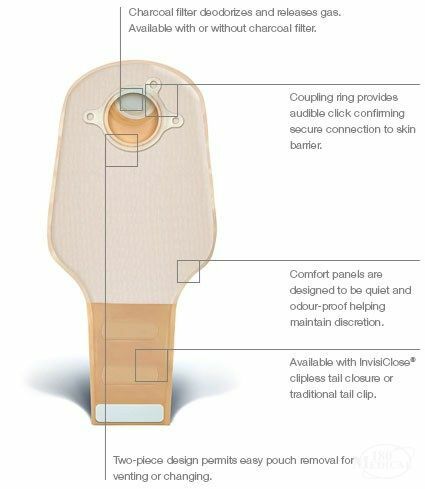 The InvisiClose® clipless tail closure offers double security, ease of drainage, comfort and cleanliness. The easy to open outlet end strips and tail design help control flow and reduce splashing. The locking mechanism is enhanced by an additional security flap for added peace of mind. The advanced air filter is designed to let gasses through while repelling liquids, making it an essential colostomy and ileostomy supply for everyday use.